Hello! So, as you may well know, I’m trying to pay off my overdraft right now so all of my spare pennies are going towards that. With being only £300 away from my target, I’ve been thinking about what to save up for once I’ve achieved my goal. It was always either going to be bags or shoes and, as much as I want to own these chloe boots, a bag may be a more sensible option. This Mulberry right here is my #1 option, but as it would take an actual age to save up for, I’d be more than happy to settle for the likes that beautiful Vivienne Westwood bag for a fifth of the price. I saw the YSL one in my local Cruise and it’s so beautiful in person, but I think I’d have to dress a lot smarter, or at least wear heels/heeled boots to pull it off, as it’s not a hugely casual bag. I’m determined to get my hands on a mini Phillip Lim Pashli bag, whether it’s in that lovely navy or cobalt blue like the Valentino one. It’s such a beautiful colour! Ahh, which one should I pick? 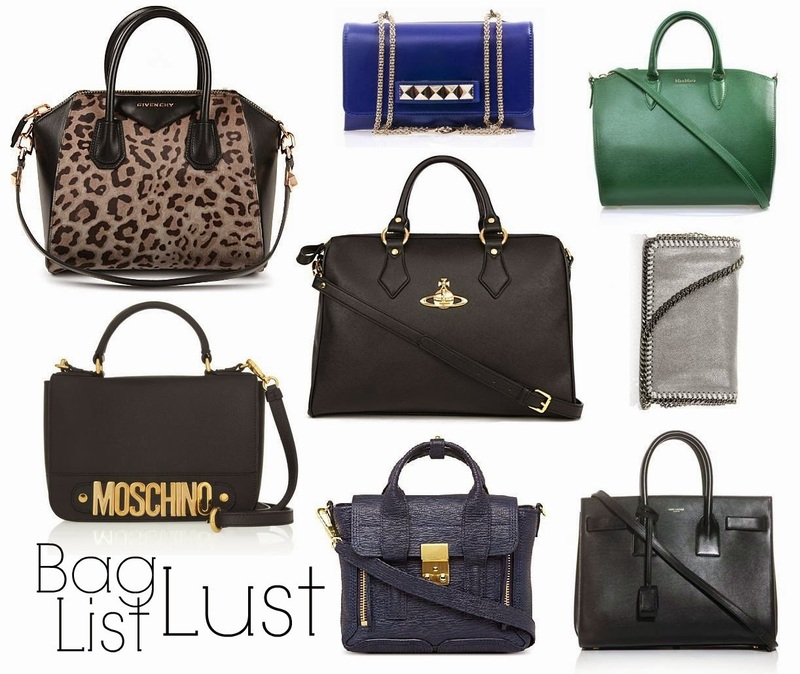 What designer bag would you have if you had the cash? Let me know below! Next Post Giveaway: Origins Skincare to say thank you for reading!